A collection of Halloween-ish illustrations. A slight variation of the outfit Mary's wearing in the current front page image. 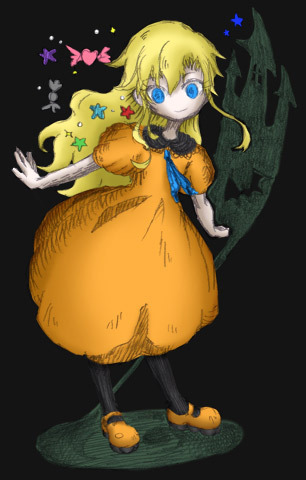 A mostly-drawn, yet scrapped Ib. I felt bad about that, so I'm putting it here. Mary: Hey, Garry, tell me about cakes! Garry: Ah! Do you know of mille crêpes? Garry: Oh yes, and there are many layers stacked up, of course! Garry: Ah, and when you stick your fork in, it makes this... clattering, which is quite pleasant. Garry: And if you have it with bitter coffee, why, it couldn't taste any better! Mary: I don't get it, but sounds tasty! Garry: S-Sorry, I suppose I must have made you hungry! 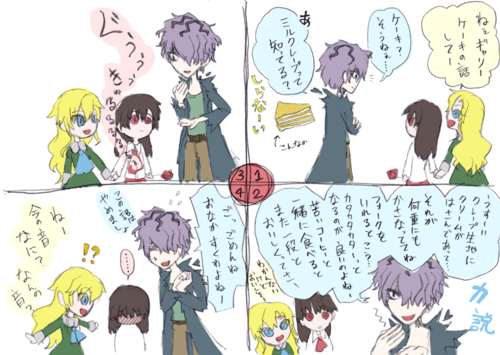 Garry: Let's not talk about cake. 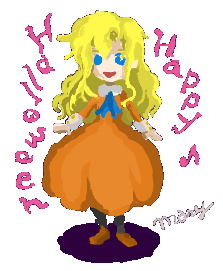 Mary: ?! Hey, what was that sound?! What WAS that, Ib?! Something like this happened while exploring... maybe. 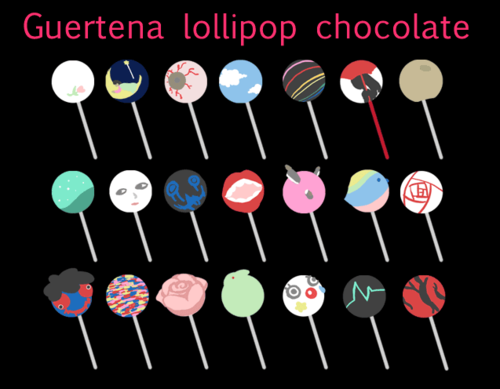 Lollipops with motifs of characters and Guertena pieces from the game. Can you identify which is which? 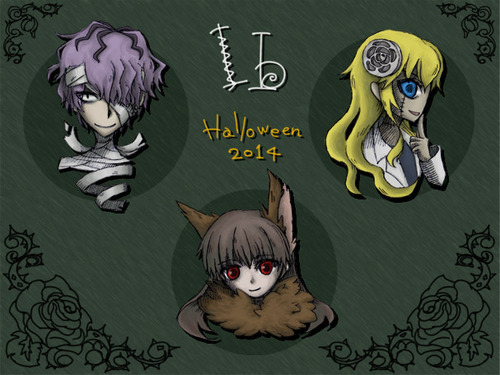 And here are this year's costumes! !